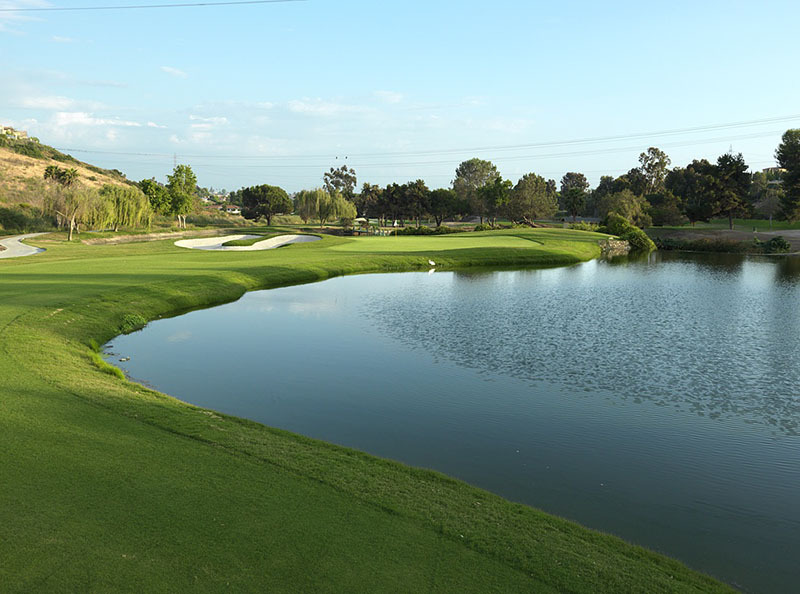 In a recent blog post, we discussed how golf courses impact communities. We concluded with the confirmed benefit that golf courses provide enhancement to communities and the lives of the people who live there. At first glace golf appears to be a solitary sport. However, as many families have found, it is the ideal sport that combines nature, sport and family. In a recent assessment by Golf Digest, families are now planning vacations centered on golf. All members of the family can enjoy the sport golf. The physically itself is of an undemanding nature. This makes the sport accessible to varying ages. All golfers of any age to can enjoy each round. Particularly for younger and older family members playing together. Golf carts are a wonderful alternative to those who don’t want to walk and they’re fun for kids. For families who prefer walking and enjoying the course’s beauty from the ground, there is no end to the wonderful things to see on the landscape. In sports games, some players find it difficult to play with someone who has much less or much better experience. In golf, every member can play together no matter the experience level. In golf, parents no longer have to worry about the stress of competition for their children. In effort to alleviate this discomfort, players can use their handicaps. Golf handicaps discourage young golfers from unhealthy habit of comparing themselves to others. This promotes and supports a healthy attitude for self-improvement. Some say, golf’s non-competitive easygoing nature with frequent waiting periods, allows time for meaningful family conversations. It’s found to be the same even when playing in a competitive environment. In fact, the setting for golf courses provide a family centered atmosphere for bonding. Golf course’s peaceful, and scenic settings are ideal for families to spend time together. Golf course architect, Jeffrey D. Brauer has stated his golf courses are built for “the golfer’s enjoyment over pure difficulty”. One of Mr. Brauer’s projects, La Costa Champions golf course was recently listed as the one the top 10 golf courses for family fun vacations by Golf Digest Magazine. Golfing provides tremendous family fun. Now is the time to start planning for spring vacations.